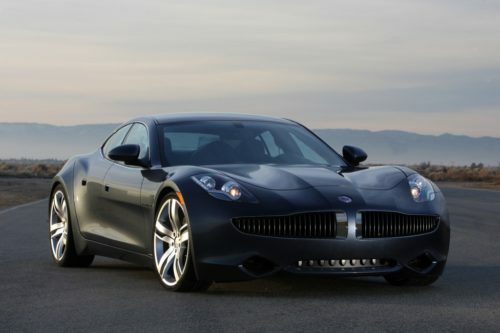 Fisker Karma Gets 20 MPG: Worst “Green” Car Ever? On Friday, we talked about Fisker, an electric carmaker that has received more than a half-billion dollars in federal loan guarantees from the Obama administration. Thus far, Fisker has only unveiled the Karma, an electric vehicle (EV) that features a gasoline engine much like the Chevrolet Volt once the batteries are exhausted. Critics have noted that despite the federal loans and promises to utilize a defunct General Motors manufacturing plant for production of their cars, Fisker has outsourced their manufacturing and their cars aren’t being built in the United States, or even North America. Instead, the company is building cars in the European country of Finland. While some complain of using American dollars to employ Europeans, other pundits have moved to throw Fisker into the same category of high-risk federal loans like Solyndra, the now bankrupt solar panel maker that received a half-billion dollars in federal funding under somewhat questionable circumstances. If that isn’t enough negative energy to sour potential buyers of the Fisker Karma, we’d suggest turning attention to just released results of EPA testing on the fuel economy of the car. Despite company claims that the Karma would be rated for 100 MPGe (the company later lowered their expected rating to 67.2 MPGe) and have a 50 mile range from batteries, the actual EPA results came in at 52 MPGe and 32 miles from the batteries. And once you’ve exhausted the 32 mile range from the batteries? At that point, the Karma gets a piddling 20 MPG from its gasoline engine. We’re quite certain there are much greener cars to be had, and without huge – and questionable – government subsidies.